Alaska Airlines Mileage Plan and Groupon new customer bonus increased to 1,000 miles on first purchase! You may recall that back in May we were the first to bring you the details of the new Groupon and Alaska Airlines Mileage Plan partnership. 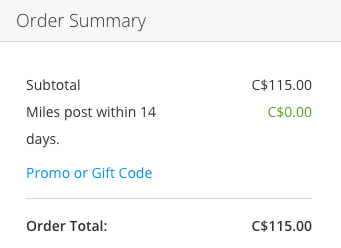 Well there is even better news now if you haven't taken advantage of it yet as Groupon has now doubled the new customer first purchase bonus to 1,000 miles from 500! The earn rates are great with the direct partnership. New Groupon customers will now receive 1,000 miles on their first eligible purchase of over $30 while existing customers will continue to earn 4 miles/dollar on eligible Groupon purchases. That's right 4 miles per dollar! That is a really good earn rate, especially if buying a large ticket getaway! Compare this to 3 miles per dollar via the Mileage Plan online shopping mall and you can see why you want to go direct. Overall this is great news as there are lots of you who use Groupon to save some money on local deals and even travel purchases and now you can earn more miles for doing so! Will you start earning Mileage Plan miles on your Groupon purchases? We gave you the preview last week and are happy to tell you that the latest IHG Rewards Club PointBreaks hotel are now available for booking! This set has 100+ hotels can now be booked for 5,000 points per award night for stays until October 31, 2017. Each Reward Night at these participating hotels will be only 5,000 IHG Rewards Club points during the above mentioned dates. Remember the PointBreaks rules are that a member can only book up to 2 reward reservations per hotel participating in the individual offer (ie 2 at PointBreaks hotels and 2 at Last Minute Reward Night hotels). My tip to get around this would be to book 2 reservations with one IHG Rewards Club account and then have your spouse book 2 more etc. Of course this is dependent on both accounts having enough points to redeem for these awards. Also be sure to book these ASAP as soon as the list comes out as once the allotted nights are booked at certain locations those hotels will fall off the list. Last day of the week doesn't bring us a lot of news or bonuses. The one piece of big news are the latest IHG Rewards Club PointBreaks! These are always big news right around the time they are released as they are the single best hotel redemption offer out there. They are big news as you really need to get in and book any of the good hotels on the first day they are released if not even the first few hours. Typically they go live anywhere between 9am and 12pm EST. As soon as we know we'll put up another post on Monday. You can also use our post below from earlier today and keep trying to see when they go live on Monday. As we usually see the Canadian property list is quite weak but there are some really good hotels available around the globe so start planning and thinking this weekedn about possible trips you can take to make use of this offer by the end of October! IHG has released the full list of the newest PointsBreaks hotels and here they are. This set has 107 hotels included with the actual booking of the hotels at these rates opening on Monday July 31st for stays between that day and October 31, 2017. For those who travel domestically we see the list of Canadian properties drop to only 4 hotels. This is pretty weak, but then again it almost always is as the past two offerings only saw 6 and 5 hotels respectively. Looks like WestJet's first new Boeing 737MAX aircraft will enter service this November. According to Routesonline the plane will fly between Calgary, Vancouver and Toronto starting on November 9. A great way to boost your balances for stays at non-chain hotels or even at chains that aren't your regular cup of tea is booking via third party hotel sites like Kaligo. 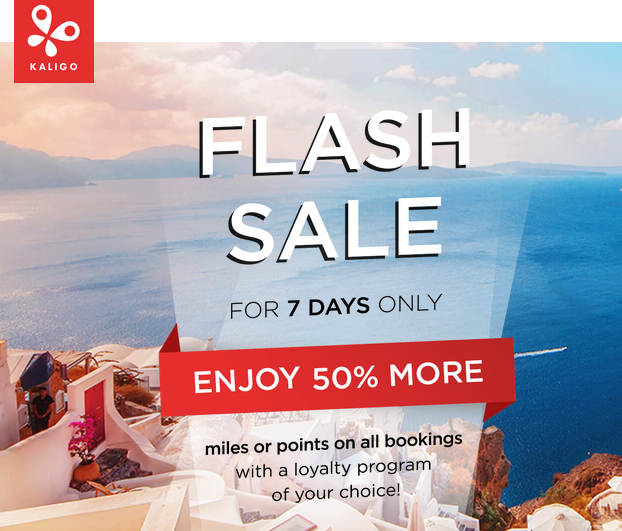 Right now you can get even more miles or points for Kaligo bookings with their Flash Sale that offers a 50% bonus!